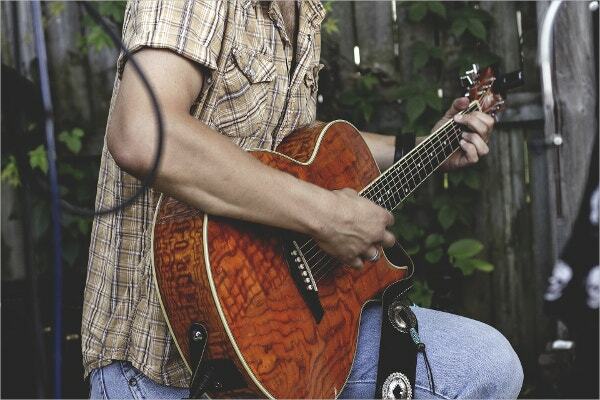 Each musical piece whatever instrument is to be played has its own musical note or pitch like a guitar. 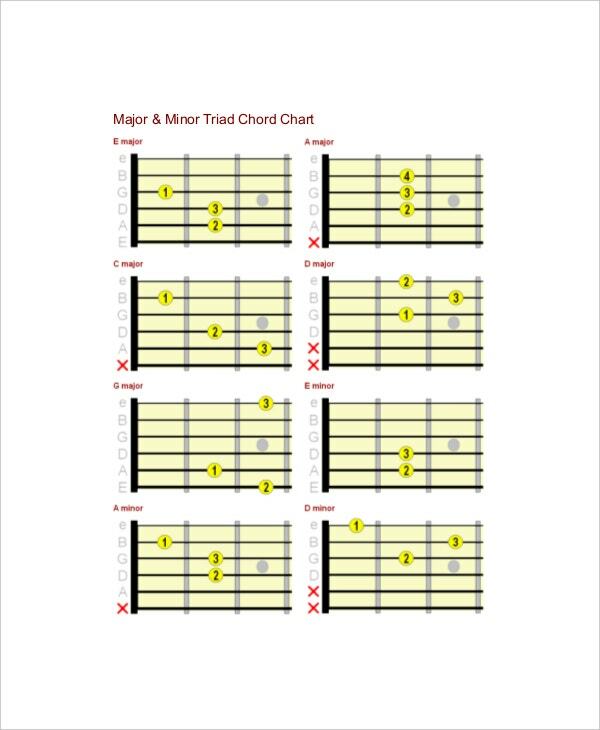 The Guitar Chord Chart Templates chords note has the own rhythm for each musical piece that will be played in a guitar where the player can learn how high or low the notes can produce for each chords of it. They can see where the notes will go with this manual where the tabs and tables will be their guide for each major chord will with specific pitch when played. Guitar chords notes for beginners will help amateurs have the instructions that can get them aware that the chord they will struck has the pitch they must attain from Major to minor E,C,G,D,A and to get them move on to the next lesson of chording technique. They will appreciate that the pitch of the chords must be mastered well to be able to proficient in playing guitar. You can also see Chart Templates. Bass guitar chords notes can guide you to the rhythm and pitch as the chords will be played in the bass guitar has their own chording style to have the tune you want to hear. The bass chords C-D-E-F-G-A-B that can get anyone get going in the learning process of achieving the right tone and volume of each chord when playing a musical piece. You can also see Complete Guitar Chord Charts. Any guitar play in the musical play has the right tune of sound that must be attained and with the help of acoustic guitar notes and chords chart, every guitarist can be in harmony with other instruments. Any acoustic play and solo guitar can be enhanced well according to plan with this chart for the right note to be played at the right time. It has tables and tabs that is the effective way of teaching the notes of each chords of a guitar, you can see here that each note has a corresponding volume as displayed by the tables for the guitarist to perform. The user of this chart will help any reader of it learn how a certain note can have a great impact in a musical piece using a guitar as the main instrument. 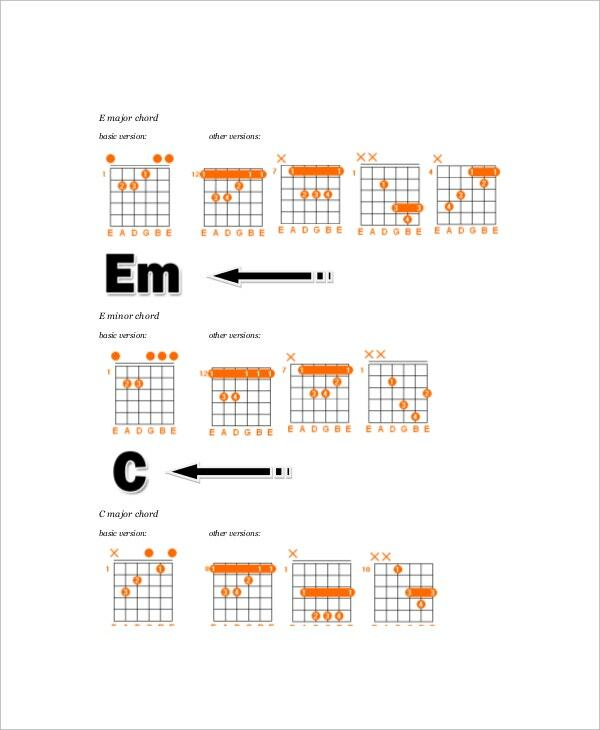 You can also see Word Guitar Chord Chart Templates. Using this chart will help any bands and guitarist performing with other instrumental players has the harmonious melody and pitch that must be achieved for a musical piece to release it catching sound to people who will hear it. Any guitarist can perform their role well with this chart where it will provide the necessary tool for achieving the right note while playing others. You can also see Blank Guitar Chord Charts. Apply a worksheet in the creation of the chart where you can easily apply the tabs and tables for marking each pitch that the guitar chords must have. the symbols for each musical note can be added with the features of the worksheet that has all the functions in making a chart and diagrams. 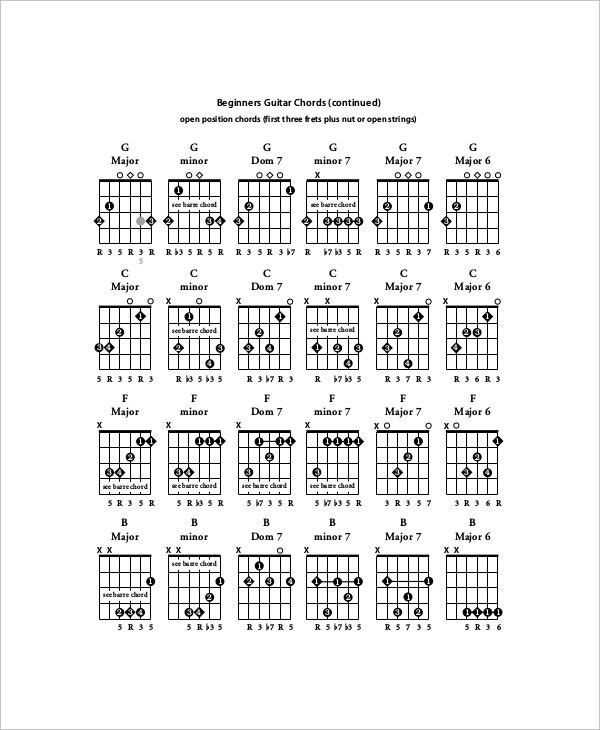 You can also see Guitar Chords Chart for Beginners. 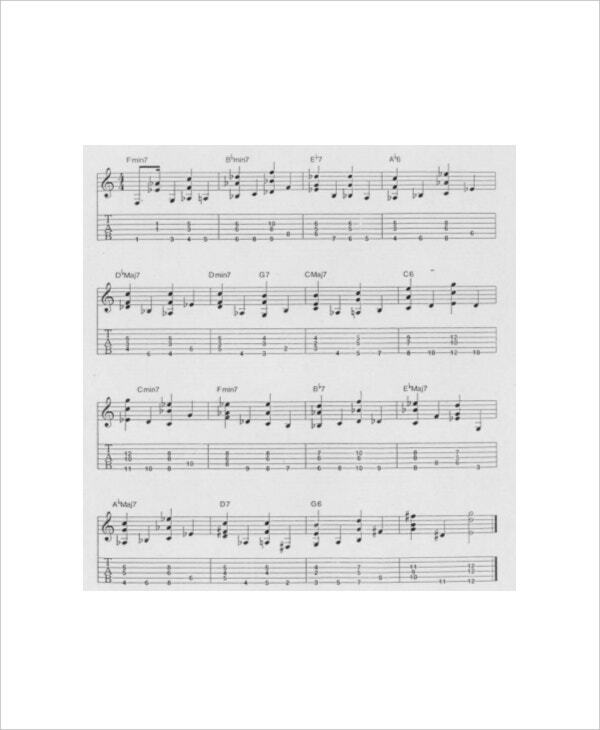 Have the worksheet that has the musical symbols embedded into it where the user can easily add the notes in the tables attached quickly whenever they want to change the notes of a guitar chord. 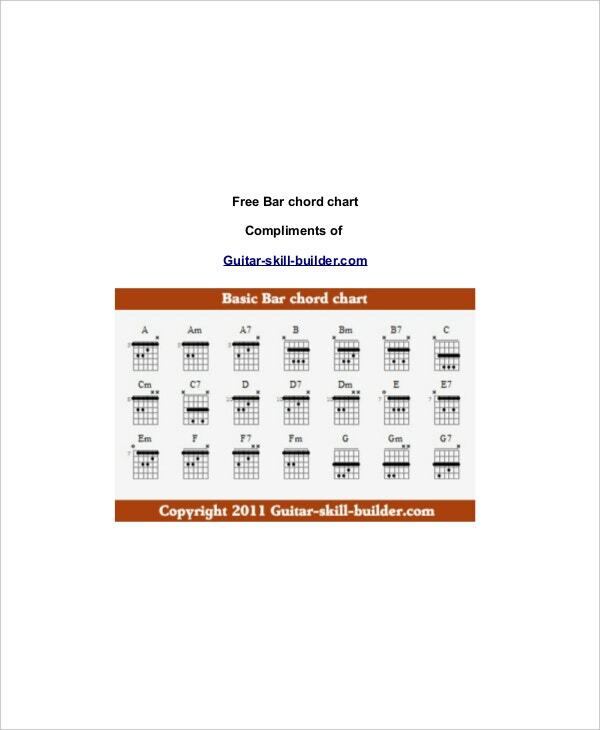 You can also see Guitar Chord Chart Templates. The chart can explain how any guitar chord can have its own unique pitch when there is a music that is to be rhymed with it, you can get this chart in Microsoft word, excel and pdf file where the user can instantly access the chart without any hustle so they can learn the different guitar notes in an instant.